Greetings from my dwelling near the gateway to the high moors. 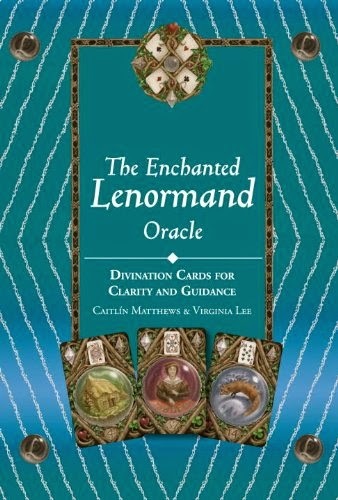 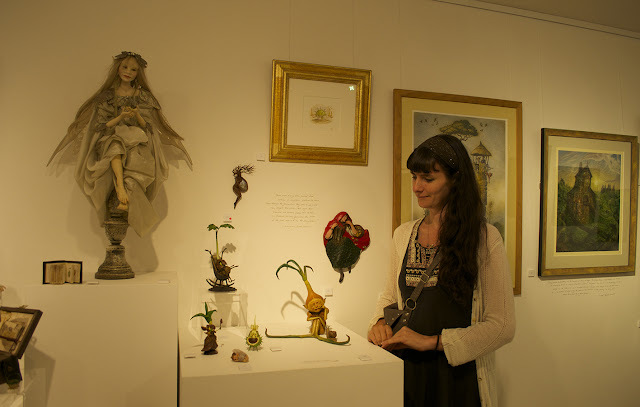 There are usually a few personal obstacles along my path that obstruct a regular flowing of meanderings here, which I hope to eventually clear away, but I can reveal a current exhibition taking place which is full of magical delights for the mind, heart and soul. 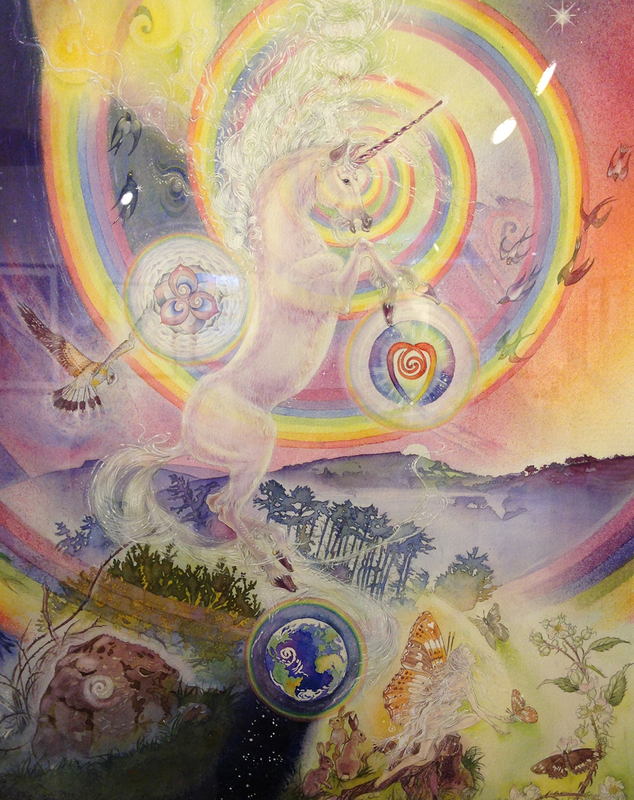 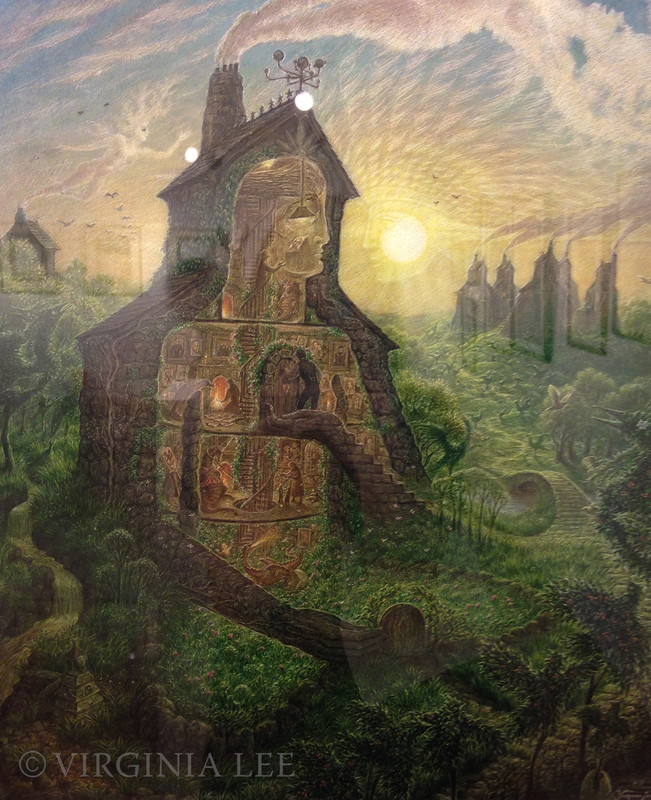 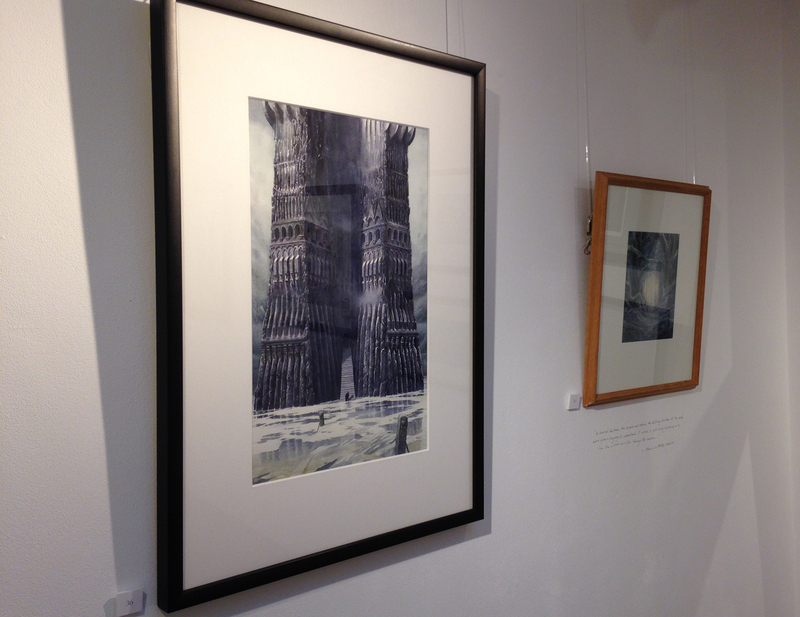 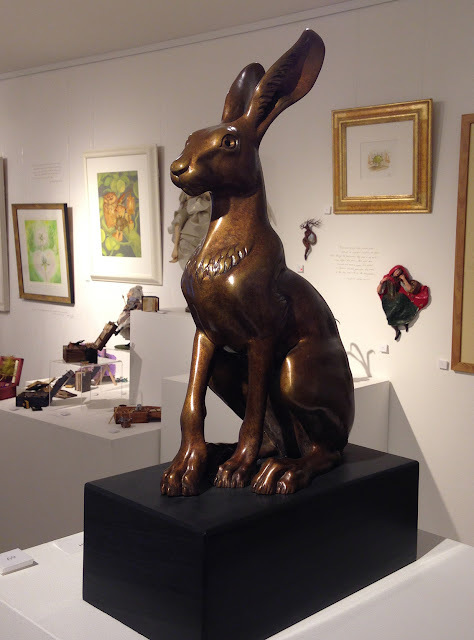 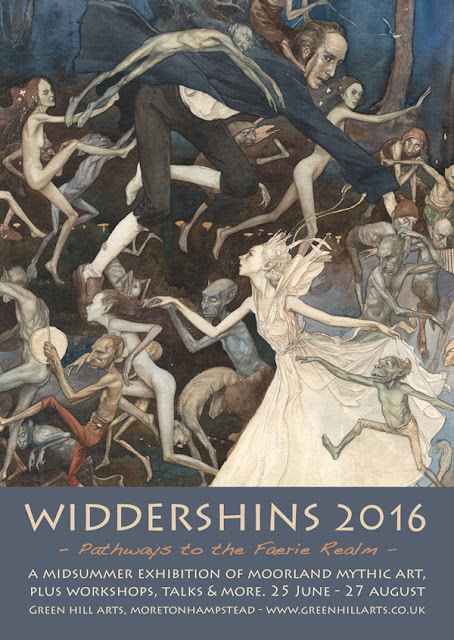 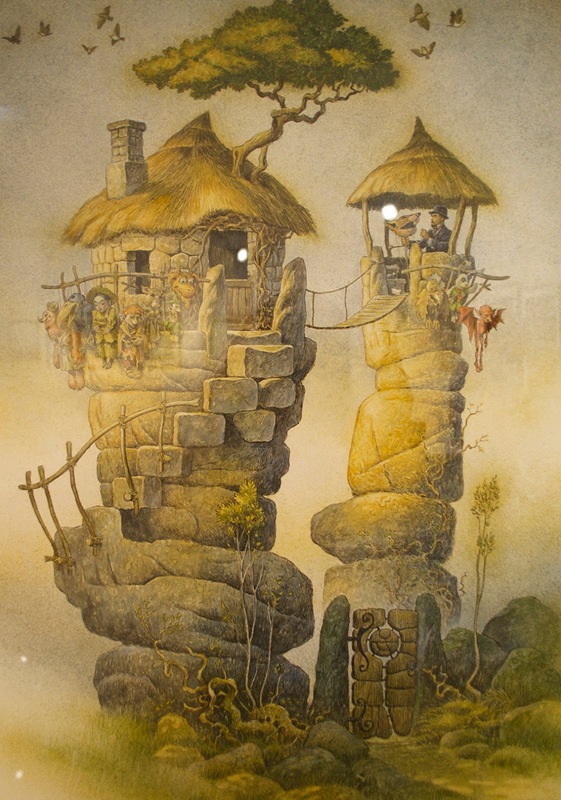 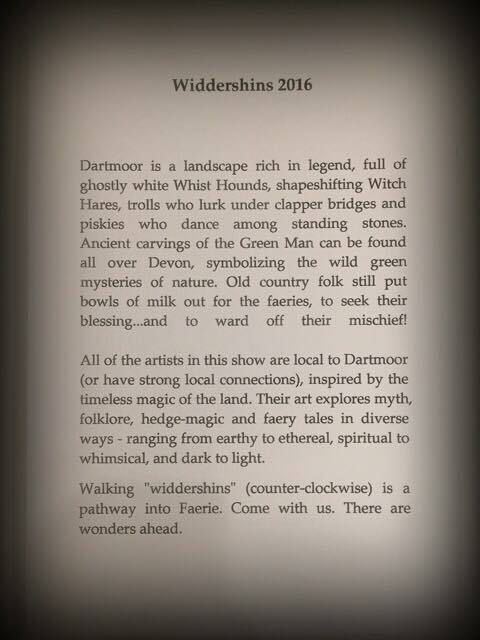 Widdershins, Pathways to the Fearie Realm, is an exhibition of Moorland Mythic Art in Devon. 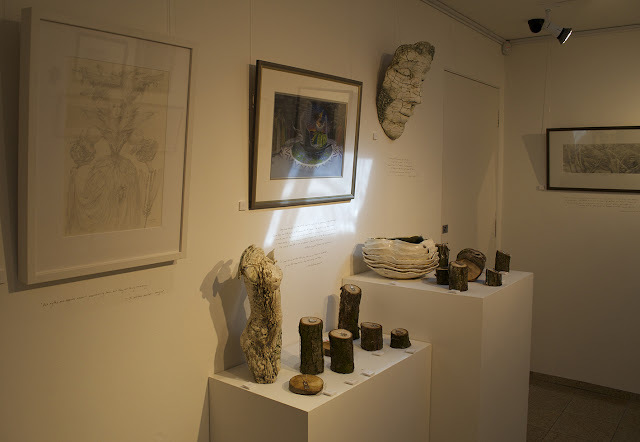 Three years ago there was an exhibition of the same name, in the same gallery, which was a great success. 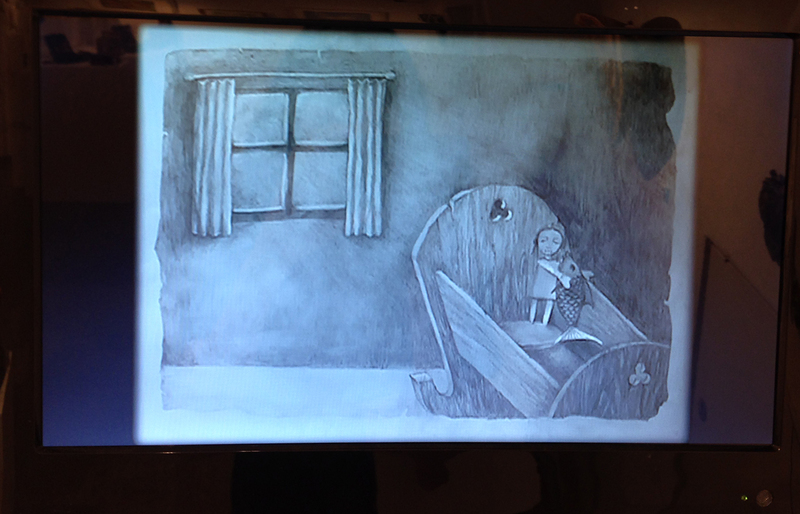 You can see my blog post about it here. 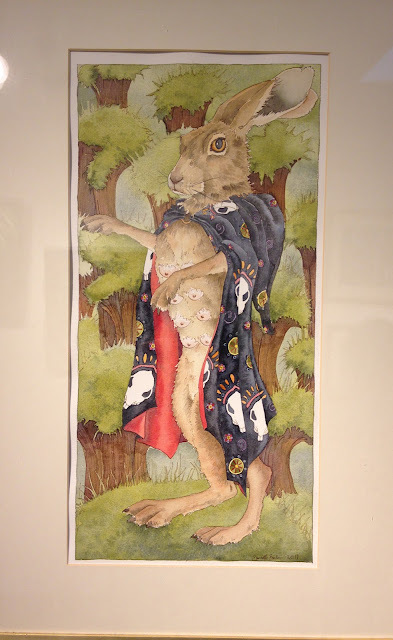 Eager to evoke the realm of myth and magic again the lovely folk at Green Hill Arts Gallery called upon our artistry to create a world where people could walk in and be both enchanted and comforted. 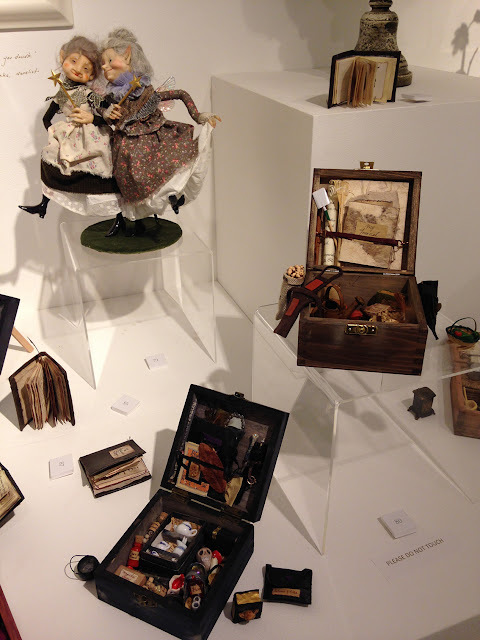 Once again the curators did a fantastic job. 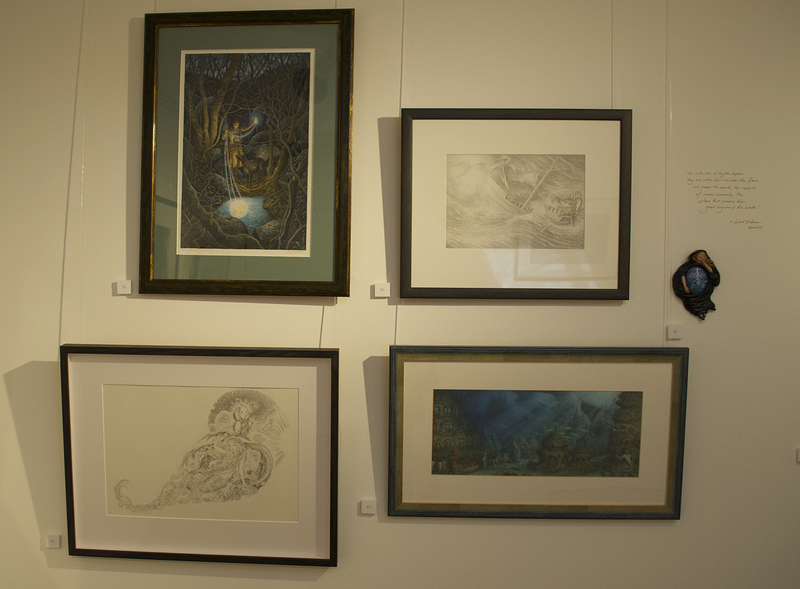 All of the same artists were involved including a few more renowned artists, which added to a very diverse array of expression throughout. 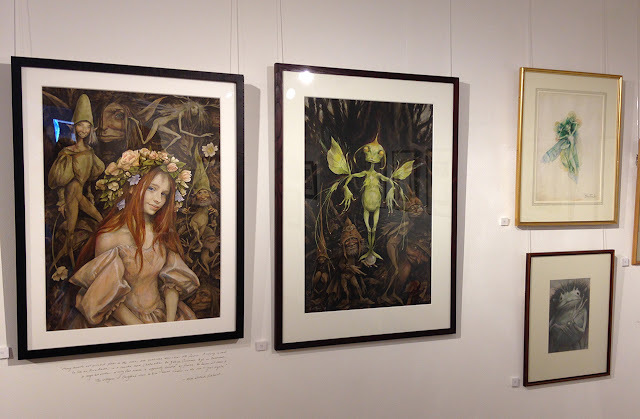 Artists Alan Lee, Brian Froud, Wendy Froud, Terri Windling, David Wyatt, Neil Wilkinson Cave, Marja Lee, Pauline Lee, Rima Staines, Danielle Barlow, Angharad Barlow, Hazel Brown. 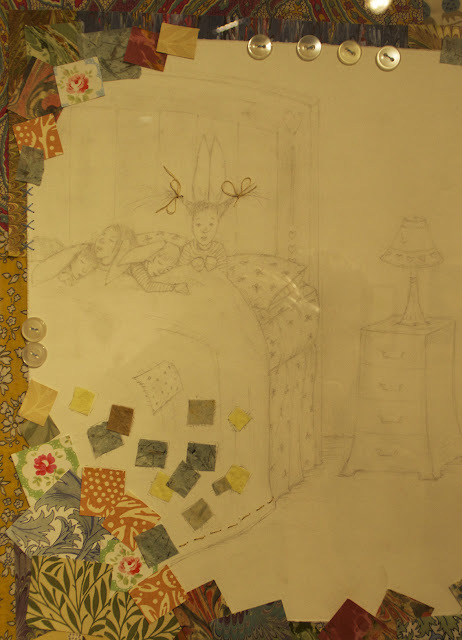 Here is a taste of some of the many flavours of expression in paint, pencil, clay, fabric, wood, silver, bronze, animation, illustration and written word. 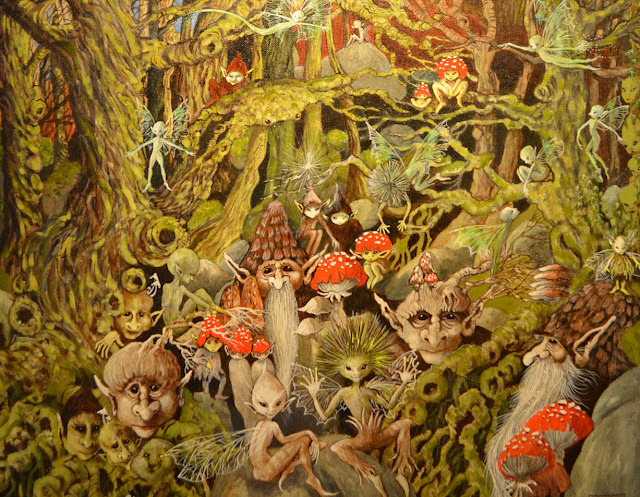 In the company of faery folk in various states of being and becoming. 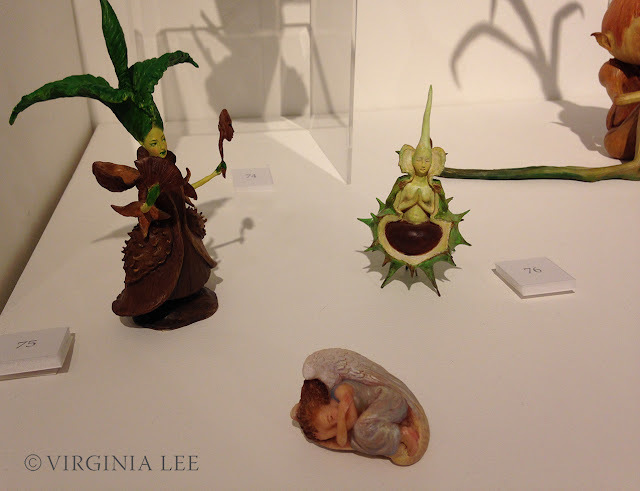 A Lady Sprout, Prayer seed, and an angel in a shell, made of polymer clay and acrylic. 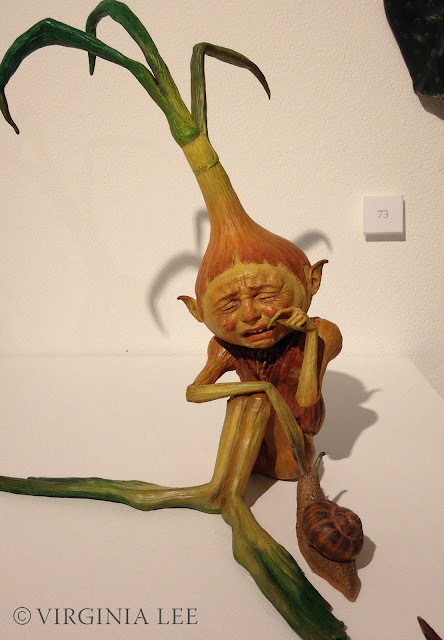 'Onion tears' being consoled by a passing snail. 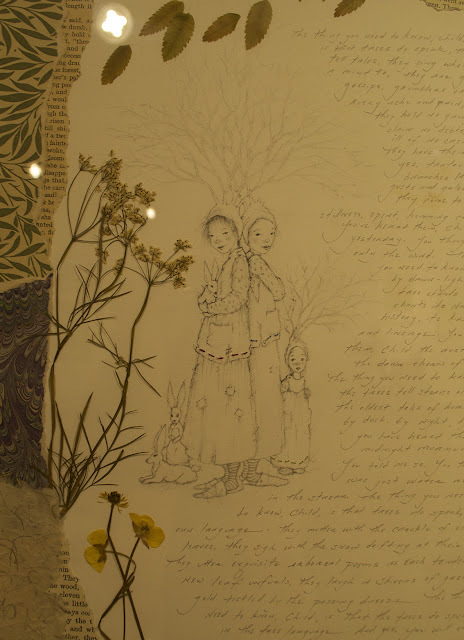 Throughout the exhibition Terri Windling masterfully wrote quotes on the walls by well known writers and artists. 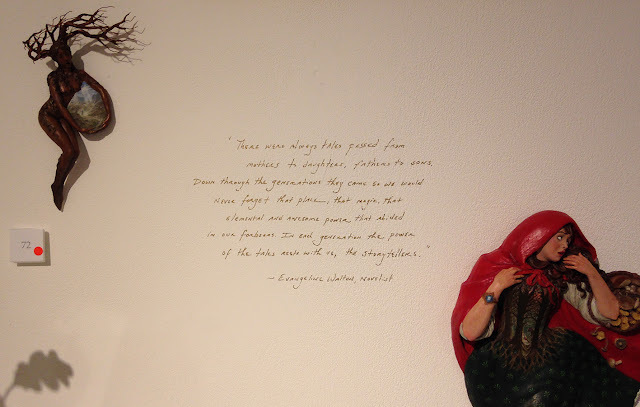 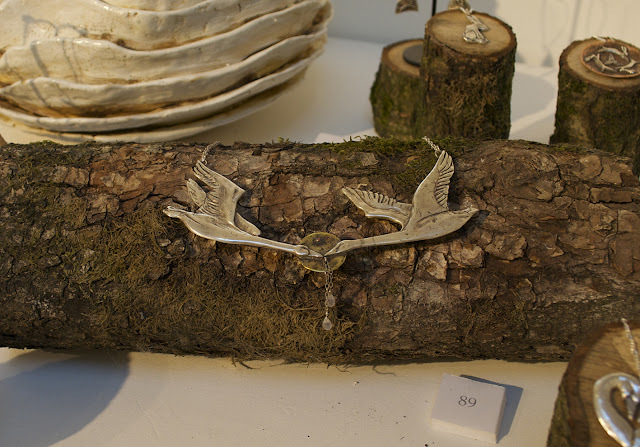 Here is one nestled in between my 'Red Riding Hood' and 'Into the path's embrace' wall sculptures. Marja is my mother. 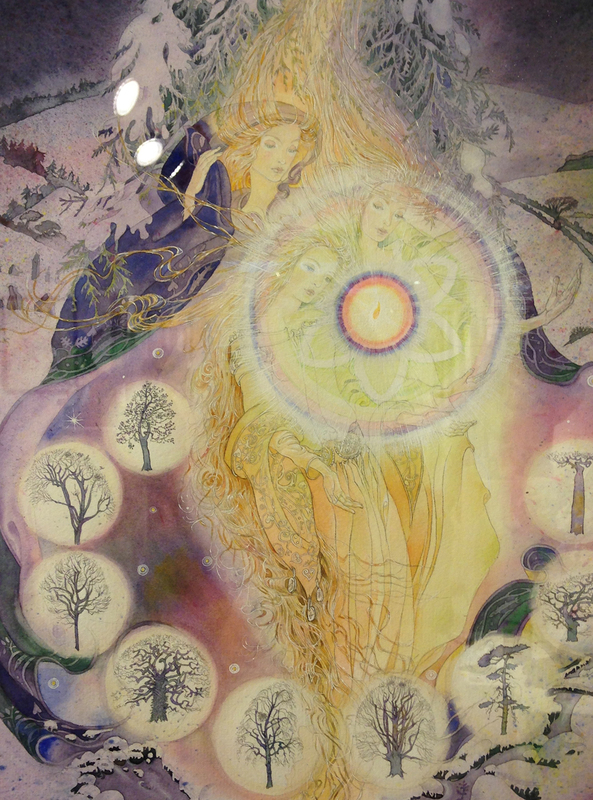 She was fashion illustrator back in the 1960s and now works on intuitive paintings supported by co-creative science, a method of working in harmony with nature and nature spirits. 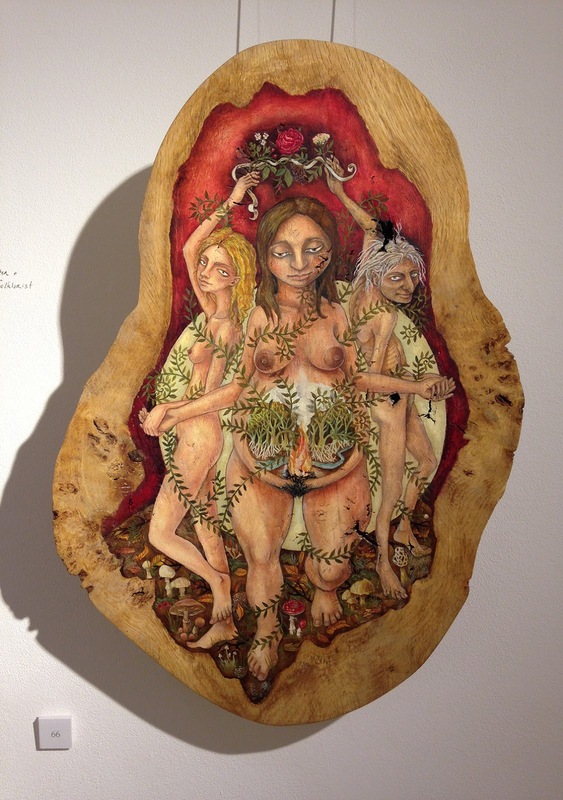 'Maiden, Mother, Crone' oil on wood by Rima Staines. 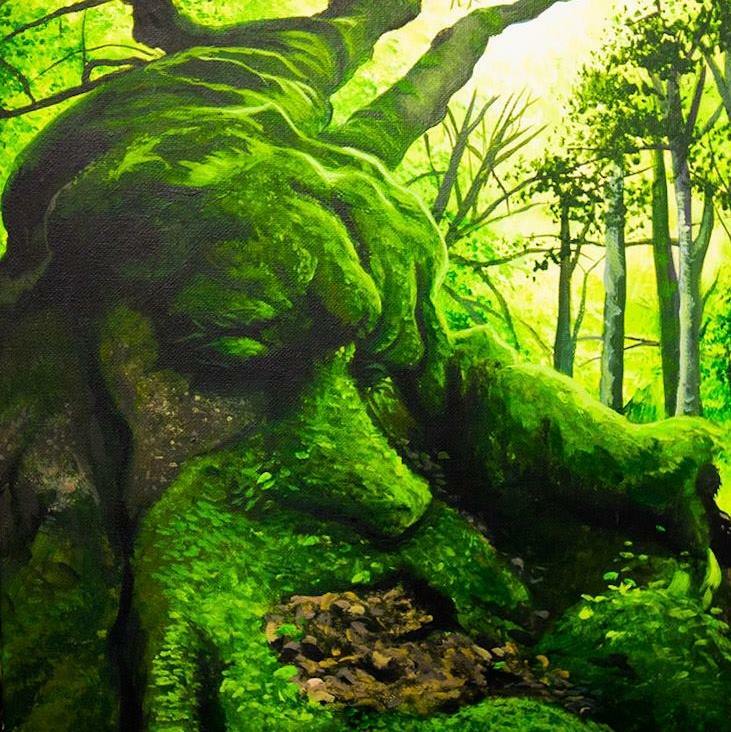 'Forgiveness fuels the fire within' water mixable oil paints and mixed media on board. 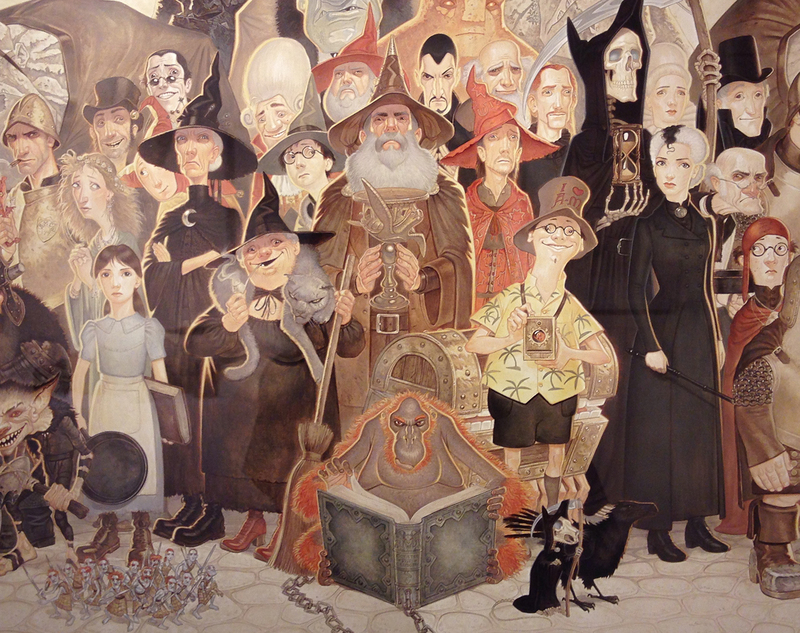 More reveal on this piece soon. 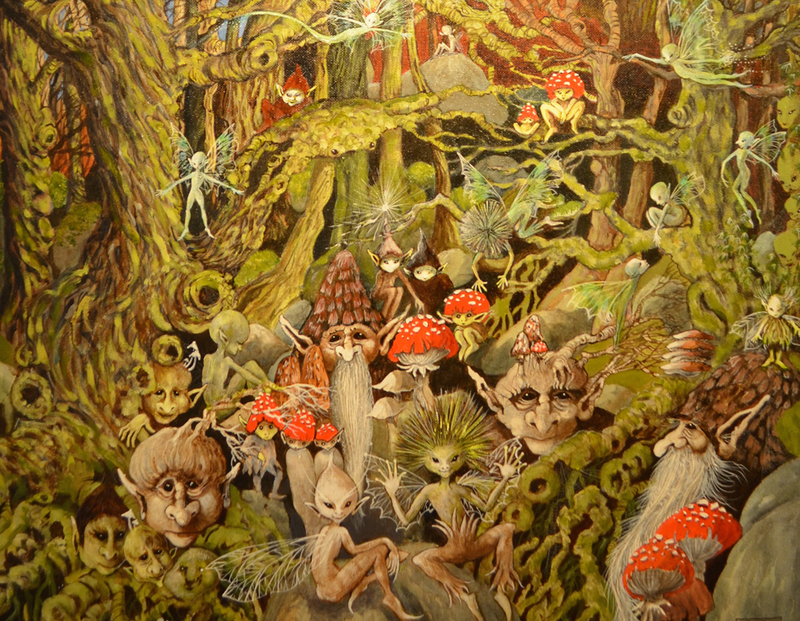 Farewell from the faerie folk, for now!